The world is becoming increasingly connected, not just through smartphones, but also via connected devices in our cars, our homes and our cities. This opens up many new and exciting opportunities, but also introduces challenges around how we protect and secure individual users and service providers. IoT devices need to be built on a proven foundation of hardware-backed security that will provide robust protection long into the future. It will also be vitally important to be able to distinguish between ‘trustworthy’ and ‘untrustworthy’ devices. Trustonic’s hardware-backed security and Root of Trust foundation form the basis upon which a secure and trusted IoT infrastructure should be built. Trustonic has developed two versions of its secure TEE operating system; Kinibi and Kinibi-M.
Kinibi is the operating system that is used to protect application-level processors, such as the ARM Cortex-A range. These processors are used in most smartphones and higher-end IoT devices. Kinibi-M, on the other hand, is used to secure low-power, low-cost microcontroller class processors, which are mainly used in sensors and other single-use devices. Processors in these devices are typically those from ranges such as ARM’s Cortex-M series. Microchip has embedded Kinibi-M into its SAM L11 range of microcontrollers. Your washing machine detects a build of scale and orders a descaler. 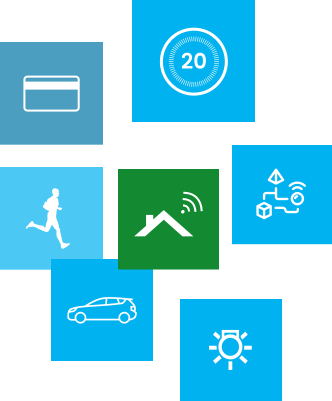 The fundamental requirements of IoT are that connected devices can be proven to be legitimate and trustworthy and that the associated services and applications, including any sensitive data and communications, are protected at all times. 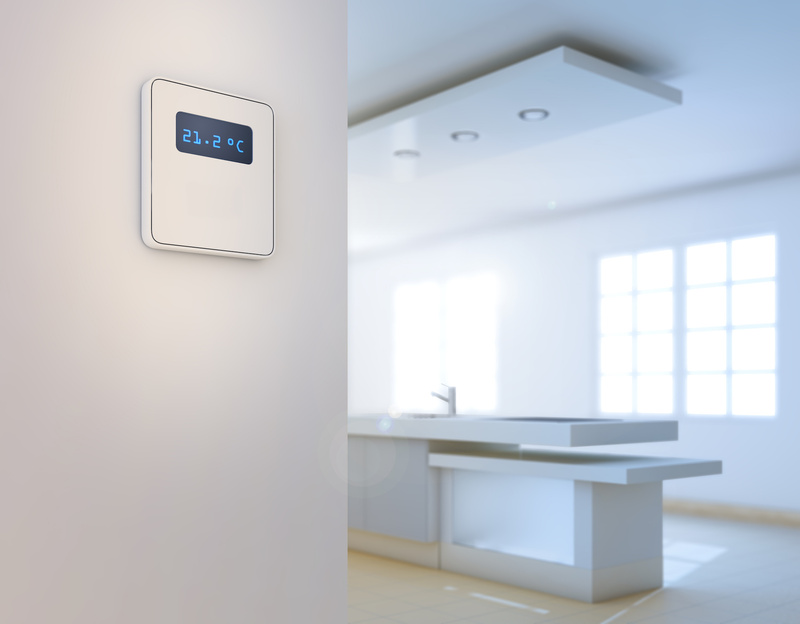 To protect IoT devices, they need to be proven to be legitimate, identifiable and manageable. What’s also important to remember is that, unlike mobile phones which are typically manufactured by one company, IoT devices are often built on top of a module manufactured by another supplier. 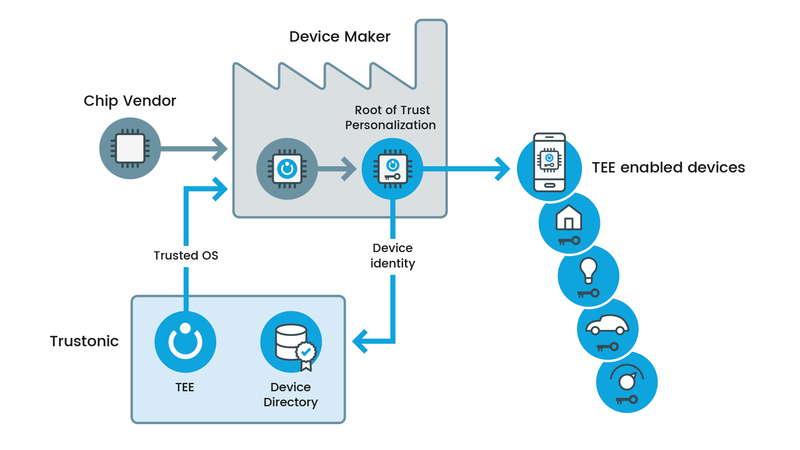 The device lifecycle can be complex and legitimacy and identity need to be managed throughout the manufacturing process, as well as after delivery to a user. In the case of a consumer device, there is also the possibility of device recycling, so solutions need to cater for a change in device ownership, whereby the new owner can be assured that the previous owner no longer has access or control. Trustonic’s TEE is unique and open, it has been designed to support multiple separate applications, each potentially with a different owner. These separate applications are individually isolated and unable to eavesdrop on each other. The TEE has the ability to secure data, communications and cryptographic operations. Encryption keys can be stored, managed and used within the secure environment, with no opportunity for eavesdropping. To enable small devices to be secure, Trustonic has developed compact and secure implementations of many standard cryptographic algorithms. Sensitive parts of any application can be executed inside the TEE, ensuring that applications and services are immune from both malware and software-based attacks at all times. In addition, any IP in the application can be protected from theft. It is worth remembering that the IP is often worth a lot more than the device it is embedded into. Click here to contact Trustonic to learn how you can start working with TAP.